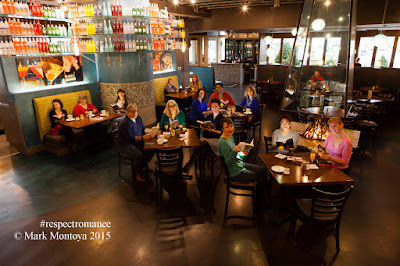 Morgan Says: As those of you who follow this blog know, earlier this year I was quite busy working on promotional activities for my local chapter of Romance Writers of America (RWA) - Portland, Oregon based Rose City Romance Writers (RCRW). Work for the February 2016 event began in October 2015. Once I started working on the project, I quickly realized that as a chapter we were lacking professional pictures that could be used for chapter marketing and promotions. 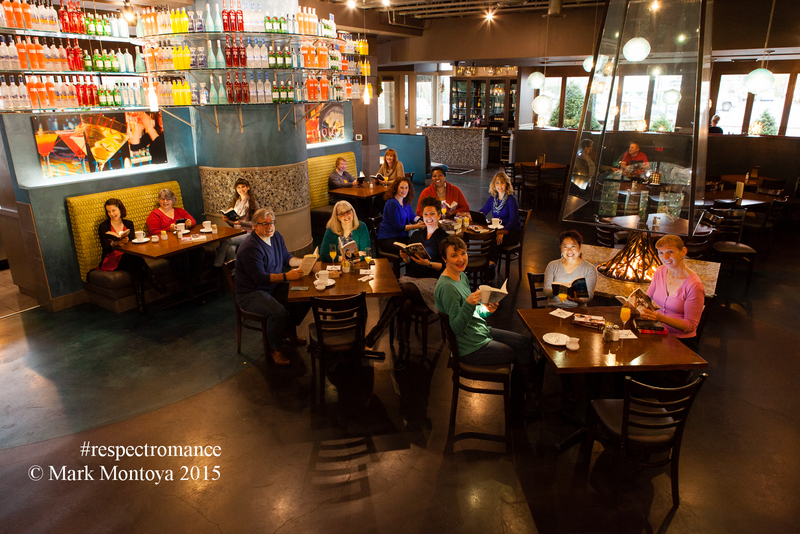 Thanks to our president, Gina Fluharty, we were able to book a professional photo shoot with Mark Montoya of Montoya Photography. In the end, Mark Montoya overcame all of these obstacles brilliantly and produced a FABULOUS set of pictures all the participants were able to use. During the shoot, it was easy for me to know which of the participants were familiar with a professional photo shoot and which ones were total novices. Don't get me wrong, everything went well....but things could've gone a little smoother with a few minor adjustments by the participants. Be ON TIME - time is most definitely money in this instance. Plus the clock was ticking on our shoot due to the restaurant's need to open on time and finish their preparations / lunch set up. Running late only decreases the amount of time in front of the camera. More time allows for more creativity. Show up with a CLEAN face or MORE makeup than you normally wear - makeup is a topic that should be discussed ahead of time with the photographer and / or the shoot coordinator. Some photo shoots include a make up artist and this person should dictate ahead of time what preparations you need completed before you sit in their chair. (For example, some make up artists want you to show up wearing your favorite foundation. Others say they want a clean face / blank slate.) For our session, we had to do our own make up. In this case, wear more than you would normally apply. Everyday makeup / lightly applied make up tends to wash out in pictures. And, yes, this applies to men, too. Don't look like a clown...but do add some color. Pay attention to the photographer and FOLLOW THEIR INSTRUCTIONS - you are at photo shoot not a social hour. Again, time is money, so pay attention to what the photographer needs and asks of you. If she says jump, your response should be 'how high?' - now is not the time to be on your cellphone or cracking jokes. For our photo shoot, Mark gave us each a special little light that we tucked into our books. Some folks got a blue light, others got lights with an orange tint, and some just got a plain white light. When a dear friend gave her light to someone else without first asking the photographer, I asked her to take it back. I know she was just trying to be helpful, but that light was for her by the photographer and may have been all wrong for a different person. Fully understand the OWNERSHIP and USE of your picture - this aspect of the photo shoot should be agreed upon before picture day. Some photographers retain ownership of the image and dictate how the picture can be used without penalty. Other photographers give you full ownership and free use. Regardless of who pays for the pictures, ownership can still reside with the creator (photographer). Make sure you have an understanding of the image ownership that is clearly stated in writing. Pick a photographer who produces IMAGES YOU LIKE - check out their work before you book the shoot and pay your money. Make sure that their artistry aligns with your persona, images, and emotions you want to convey. HAVE FUN! - if you have an idea for a shot, mention it - but also be fully open to the recommendations and directions from the photographer. They are the only ones that can see the image through the lens and you are paying for their skill set. Still have some fun and let your personality shine through.